In our PDF guide you will find charts provided to assist in developing a footprint for your storage area or determining your actual shelf space. Shelf plates can be easily removed, washed individually or placed in a Camrack OETR314 and washed in a commercial dishwasher. 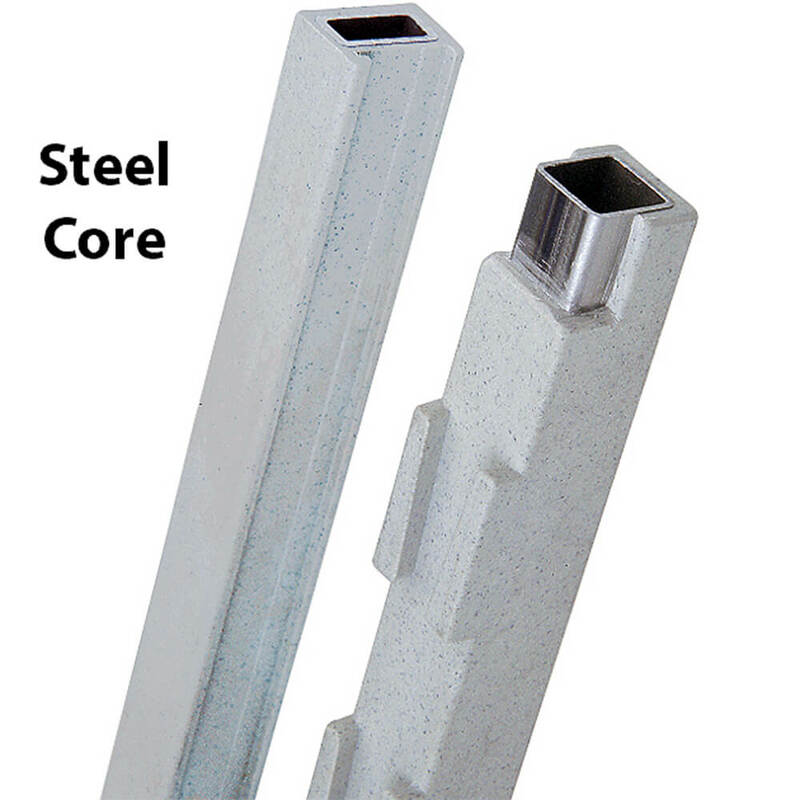 Posts and Traverses - the weight bearing components - are made with a steel core providing strength and durability to last. 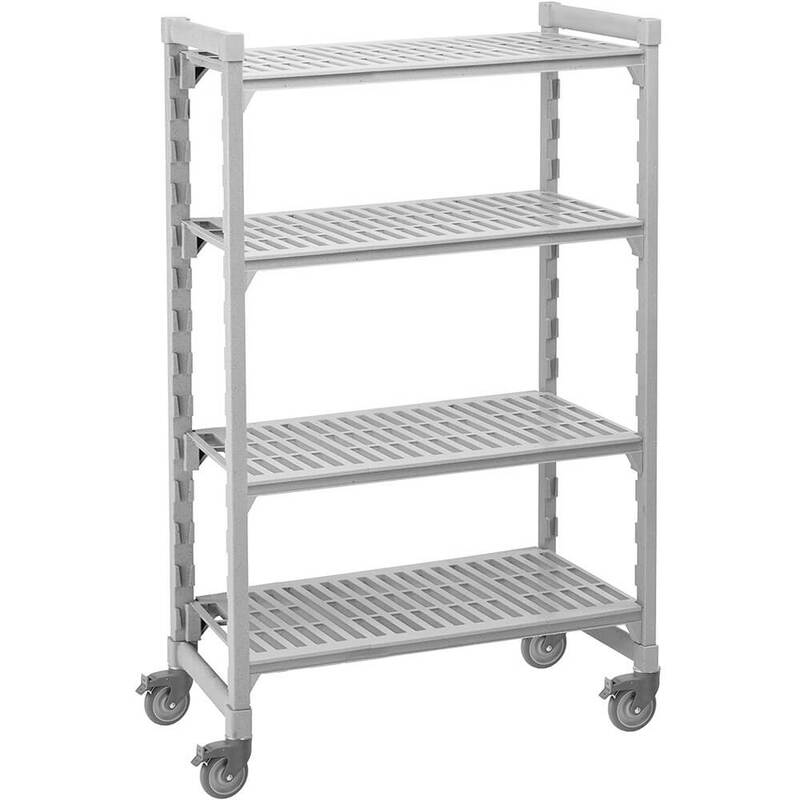 Mobile Units allow ease of moving shelving in storage areas. Mobile Units are not designed to serve as transport carts. 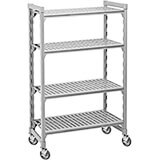 Additional Camshelving components can be purchased to customize this unit to fit your needs. Please download our PDF Shelving Guide above for assembly instructions, configuration details and component list. In our PDF guide you will find charts provided to assist in developing a footprint for your storage area or determining your actual shelf space. The overall length varies slightly when using a basic unit, add-on unit, intermediate unit or corner unit. These variations are outlined in our guide. - Four posts 67" High. - Two sets of post connectors 21" Wide. - 5 Shelves, 42" Long with the respective traverses and vented shelf plates. - Four casters - two Swivel Locking Casters (CSCSL) and two Total Locking Casters (CSCTL).